If you do not currently watch So You Think You Can Dance, let me give you a few reasons that you need to start. 1. Not Your Typical Game/Reality/Competition: The show is as much about the choreographers as it is the dancers. Both parties are “competing” because they love their craft and they want to excel. Wouldn’t it make “American Idol” that much cooler if they only featured songs from up and coming artists sitting right there in the audience? Even better, the choreographers occasionally dance WITH those who are performing. Take this amazing routine, “Wicked Games” (Emmy nominated!) about the games we all play within relationships. Travis Wall, the choreographer, is about to become the next big thing in dance. He was once a contestant on the show, and although he didn’t win, it’s almost better that he didn’t because the world needs his choreography. 2. Dance is a Powerful Force: Dance, like all other art forms, taps into a Truth and Beauty about the world, showcasing things in a unique and powerful way. Dance is the combination of two incredibly powerful mediums (music and the human body), and, as a result, has the ability to tackle issues at a deeper level. This next routine is one of the most moving tear-jerking routines I’ve ever seen. Using the song “Gravity” by Sara Barielles, the choreographer Mia Michaels is able to delve deep into addictions and how they control us. There are a few moments in this routine where it’s actually hard for me to breathe, despite the fact that I’ve seen this at least 20 times. The routine has also won an Emmy. 3. Dance causes us to reflect on ourselves. As we process what we are seeing, we process something about ourselves as well. This next dance is a perfect example. “This Bitter Earth” by Mia Michaels is all about aging and growing old. See if you don’t recollect or discover something about yourself as you watch it. (Emmy Winner as well). 4. You Don’t Need to Be an Expert: It’s no secret that I’m no dancer, but this show draws in even the most novice of viewers. There is something for everyone. For instance, I don’t know a lot about contemporary or ballet, but I now know what it’s like to watch a group of dancers offer a breathtaking rendition of lost sea creatures, wandering through the ocean. This routine called “Wave” is wildly entertaining and unique, and I could watch it all day. So, there you have it. There are only 3 weeks left in Season 11, but you can check out the previous weeks on Hulu! 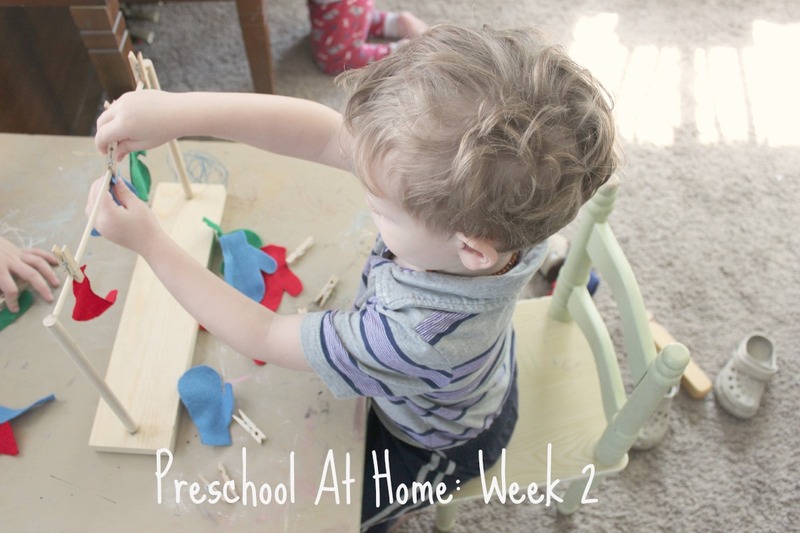 Well, whaddya know, we got another week of homeschooling under our belts! This week, I had some help from a friend who was cleaning out her apartment. She had a bin full of projects she made during her Early Education Courses, and she offered them to me. It’s going to take me weeks to use it all! Exhibit A: The Kittens Who Lost Their Mittens and hung them up to dry. 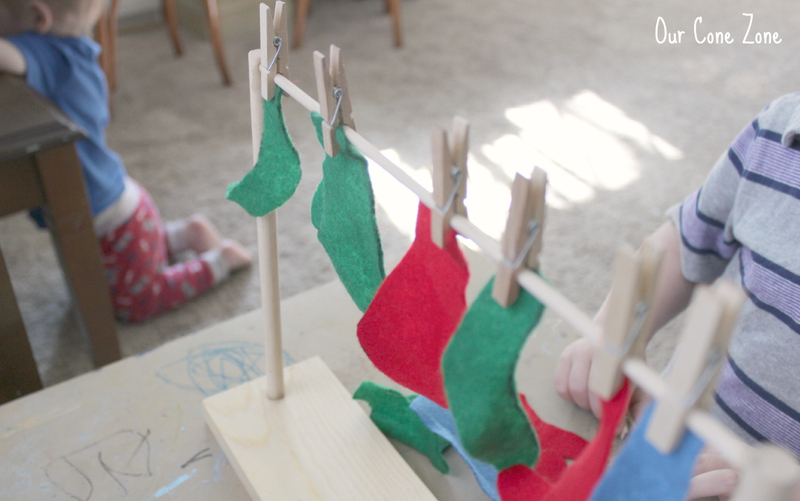 We sang the song, then they took turns hanging up felt mittens and socks with small clothespins, practicing dexterity. 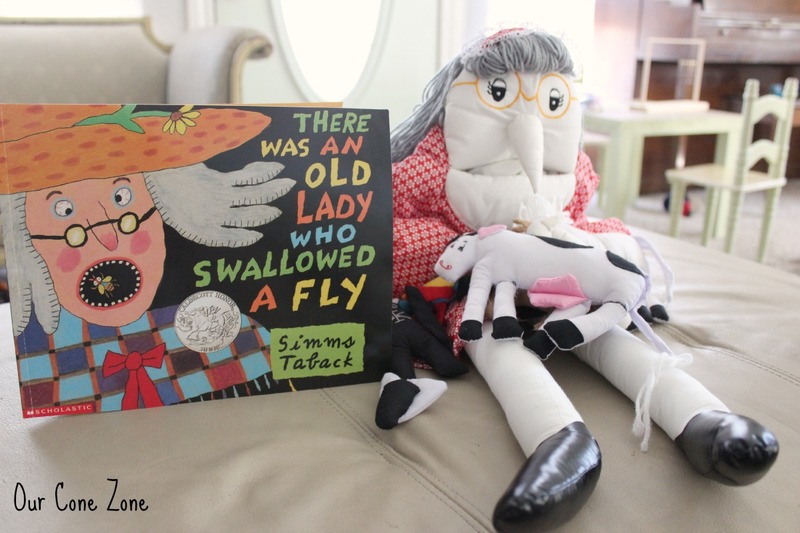 Exhibit B: The Old Lady Who Swallowed A Fly. We had the most fun with this book! It came with little animals that the kids were able to stuff into her mouth at the right time in the story. There was even a CD so that we could sing along with the song. 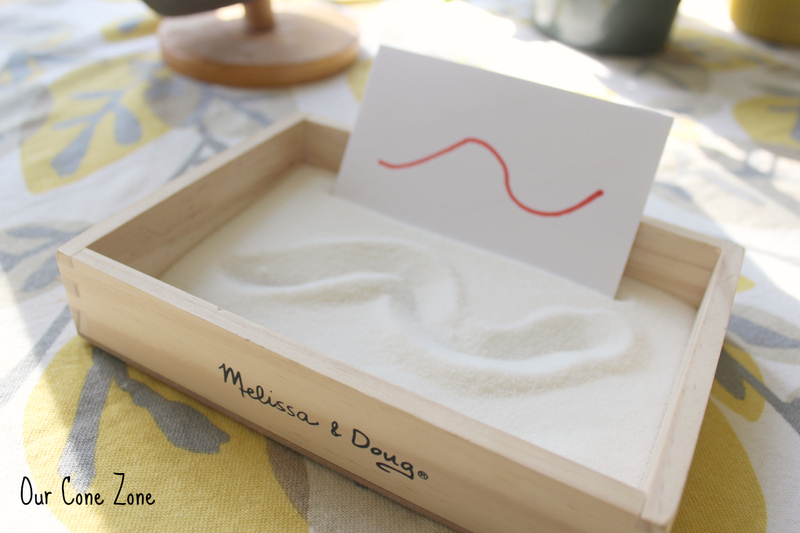 Exhibit C: Last but not least, I put together a Montessori Imitation Exercise I’ve wanted to try for a while. Our 5 year old can write his own name and spells several sight words, but Gregory’s not quite there. 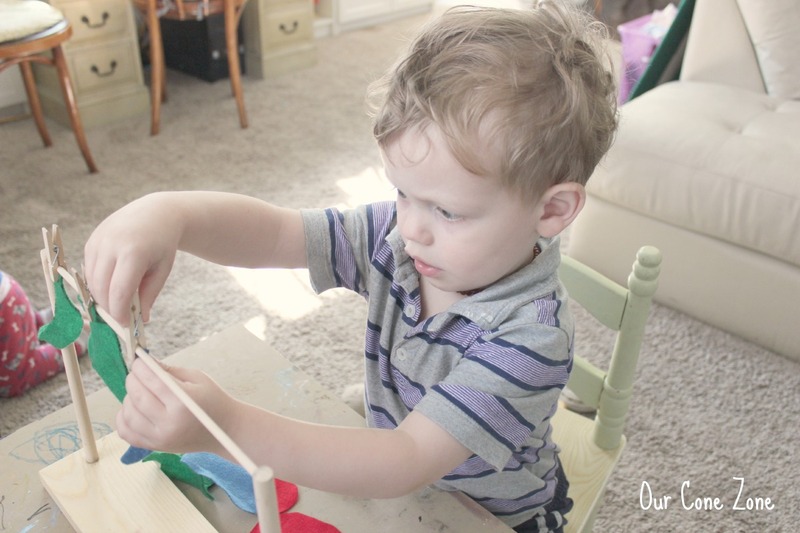 Instead of allowing him to get discouraged trying to compete with a kid 2 years older, I made him this Imitation Exercise using sugar and an old Melissa and Doug box I had lying around. The whole idea is that they can practice imitation and dexterity without having to also hold a pencil and know what letter it is. He LOVED it. And he was good at it. I drew a bunch of designs on index cards, and he was at this for 30 minutes by himself at his little table, drawing and then flipping to another card. Perhaps this question arises because I am mostly friends with homeschooling, DIY moms like myself. Instead of paying someone to teach our kids piano, we’d rather figure out a way to do it ourselves. 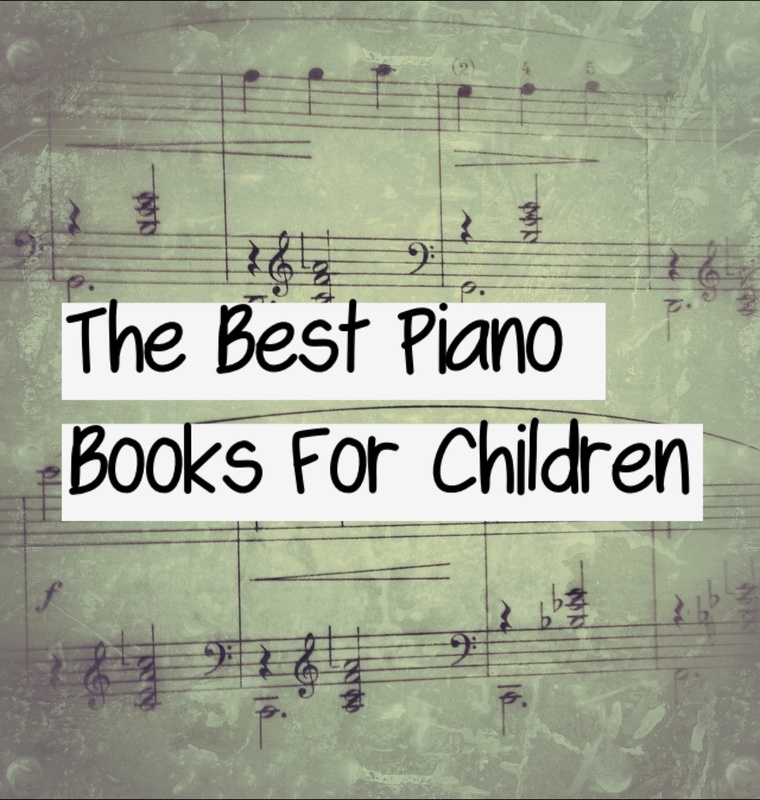 My biggest advice, even for those who are already piano teachers, is this: different kids should use different book series. Period. There is no, “best method”, unless you decide to only teach one type of kid. I have made it my mission to never turn down any kid of any learning ability, regardless of their age. For this reason, over the course of 9 years of teaching in over 3 major cities (LA, Dallas, and SLO), I have arrived at a short list of what I believe to be the best books for each age group. 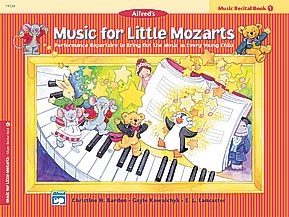 Music for Little Mozarts— Most people are shocked when I say that 3 and 4 year olds can learn to play the piano! We just cannot expect the same attention span and learning style as older kids. But they can. Honestly. This little book color codes all of the keys on the piano, instead of making the kid draw letters or numbers. By the end of Level One, they have graduated from using the black keys to the white keys, even mastering quarter notes and half notes. By the end of Level Two, they are even reading a little bit of actual sheet music! The whole series of 4 Levels is great. 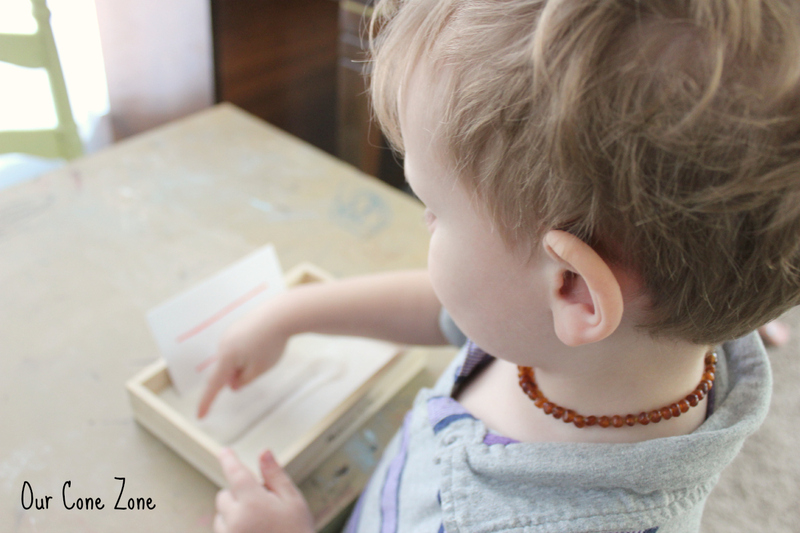 The best ones are the Lesson and Workbooks, but the Discovery Books are great if you’re a mom who likes to sing and teach the kids fun songs to go along with what they’re learning. I was actually able to adapt the Discovery Book to create lessons plans for a Kinder-Music class one year! 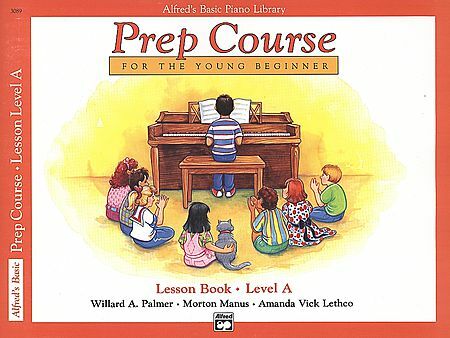 This series, Alfred’s Prep Course, follows after Music For Little Mozarts. It is the most universal series for kids in Kindergarten through 2nd grade. It can go a bit slow for some kids, however, so I don’t always use it. But it covers all the basics in a fun engaging way, with pictures that are reminiscent of old fashioned Winnie the Pooh. Once again, Alfred’s Basic Piano Course is the most universal. 9 times out of 10, if the kid is just beginning piano at age 6 or 7, I put them in this book. The criticism it receives (both from me and other piano teachers), is that kids get too comfortable just playing in one or two hand positions. They don’t view notes on the whole, and can only think of them in terms of what finger number plays them in what hand position. By the end of Level 1A, I make sure to bring in supplemental sheet music in a variety of hand positions so as to encourage them to grow “outside the box”. 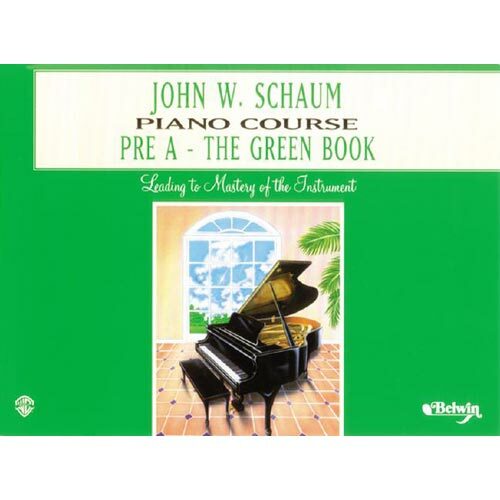 And if I meet the kid and he/she would be better in something harder (why I always do a “meet and greet” before buying books for the child), I use John Schaum’s course. Pre A (the one pictured) is great, but the following red book, Level A, is a terrible choice. I’ve had so many frustrated students in Level A, so many that I’ve stopped using it altogether. All of a sudden, without warning, it jumps up to some really hard stuff, like asking the kid to play in the key of E flat major! After just a few months of piano, most kids will not feel ready for that kind of jump, and when kids get frustrated, they quit. 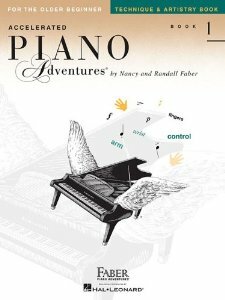 I absolutely love the Accelerated Piano Adventures by Faber. It has become my new favorite “go to” book for Ages 8 and up. The songs are fun, the lessons are well timed, never too difficult but always engaging, and they start encouraging students to write their OWN music, using the chord progressions provided! 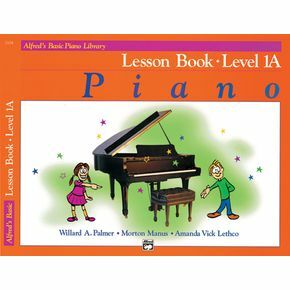 If the student is a brand new beginning and isn’t so sure about piano, I just go with Alfred’s Later Beginning Series. 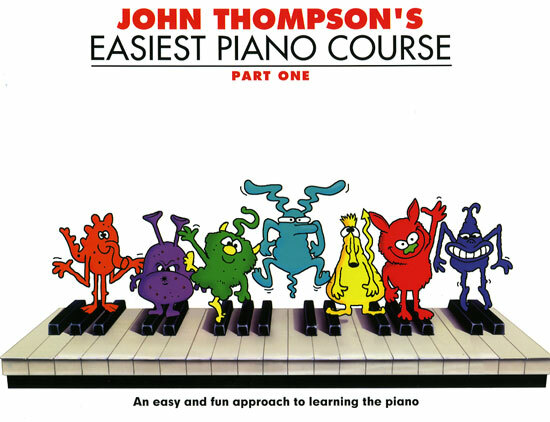 It’s basically the same thing as Alfred’s Basic Piano Series (up above), but combined together to go faster. I’ve only taught 3-4 adults over my time, and they usually have already had lessons but forgot it all. But if they haven’t learned anything yet, I’ve used this book as a comprehensive, all in one. Be ready to supplement though, because some of the tunes can be a bit dull. But it gets the job done! Every piano teacher has a good supplemental library for their kids, depending on their needs. 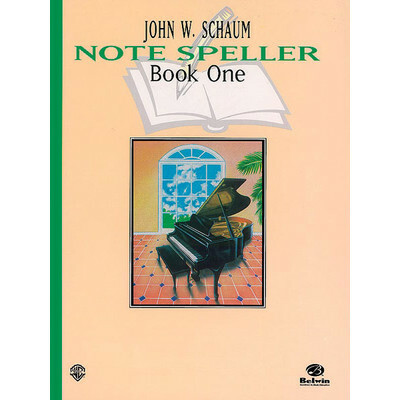 John Schaum’s Notespeller is my absolute favorite, hands down. If a kid is struggling with their notes, I copy pages from this or make them buy it. It is by far the best way to drill memorization of notes, AND it’s been around for decades. Tried and true. 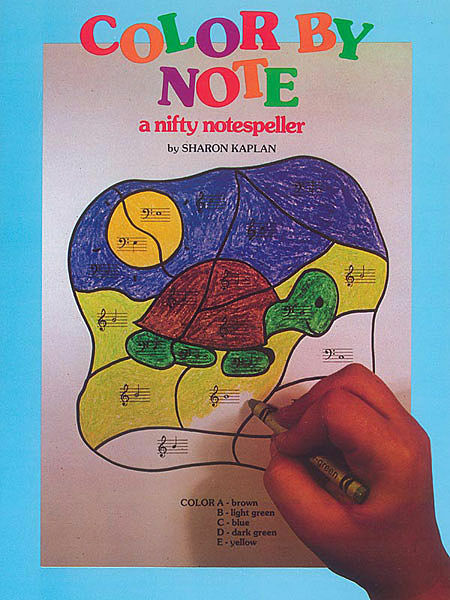 For the little guys, this “Color By Note” book works for memorization! 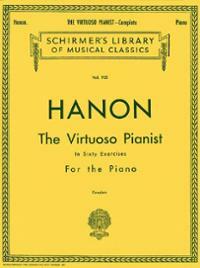 Hanon is the piano leader in finger exercises and drills. Playing these is like lifting weights at the gym for your piano playing. 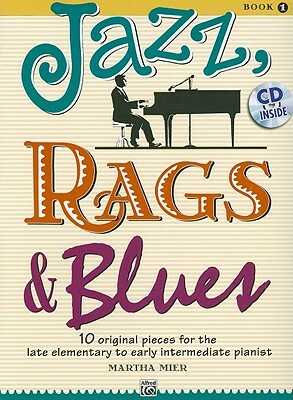 If I’ve identified that my student wants to branch out a bit in the world of jazz, this is always my first go-to book. The songs are SO fun, and also a little challenging. An intermediate student might find them too easy, however. 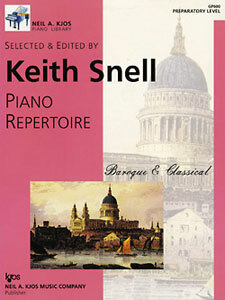 If I am finding a classical song for one of my beginning students, I check Keith Snell’s Books first. He has lots of different arrangements, and a series of around 40 books to choose from– everything from Early Romantic, to Baroque and Classical. ANY level could find a book that worked for them as a supplement. For the more serious students, I always go back to my trusty Bastien series that I worked on as a child. 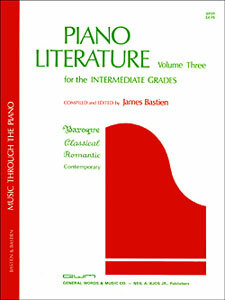 Volume Three (pictured) is my favorite, since it houses the classical songs that every kid wants to play, like “Fur Elise” and “Solfriegetto”. 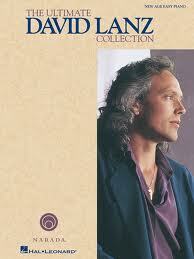 Last but not least, there is David Lanz– my muse. I idolized him as a child. Go look up some of his songs on Youtube– you’ll cry. 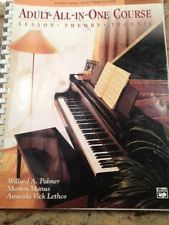 Every kid wants to play songs from this book, and they make good recital pieces! They vary from super fast and hard to slow and sweet. If you have any questions about any other book, feel free to ask! My favorite song out of any Orthodox song I’ve ever heard is one that is ONLY sung during Lent, and ONLY at Pre-Sanctified Liturgies throughout the week. My greatest sadness and regret last year was that because I was feeling so rotten and worn down from being 34-40 weeks pregnant, we didn’t make it to any Pre-sanctified Liturgies, and, as a result, didn’t get to hear this song. The song is based on Psalm 141 and called, “Let My Prayer Arise”. If you have 30-60 seconds to listen to it, I guarantee you will be blown away. I’ve FINALLY FOUND a live version of it, sung as a trio of three talented female voices. It was recorded last April at an Orthodox parish in Houston. Set a watch, O LORD, before my mouth; keep the door of my lips. Incline not my heart to any evil thing, to practice wicked works with men that work iniquity: and let me not eat of their dainties (Psalm 141).